Use the annex for more storage space or to provide an extra bedroom. The annex is equipped with an extra zip so the awning's side panel can be used as a partition wall. The annex comes with a Zinox steel frame. 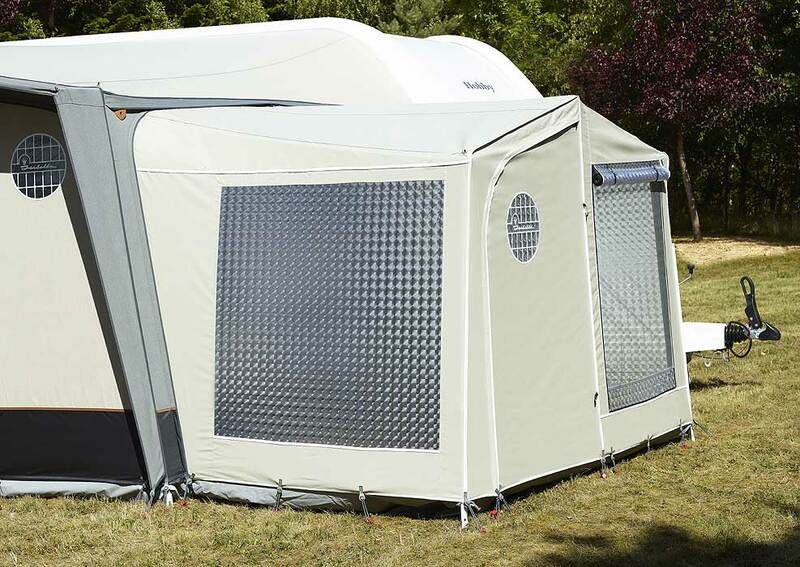 The Zinox Frame is a durable tubular steel frame with welded corners and double screw lock on the poles.